I have changed this website’s WordPress theme, so hopefully it should now be more mobile device friendly. Let me know if anything doesn’t work. 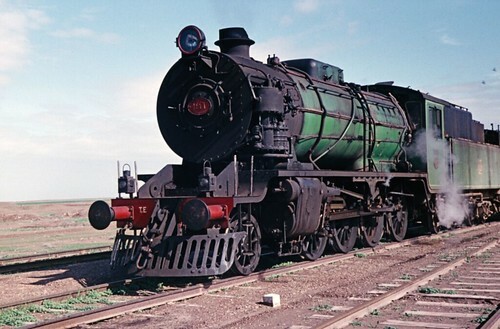 Meanwhile, I would recommend following “Historical Railway Images” on Flickr for lots of great photos of railways in the Middle East, such as this view of Krupp 2-8-0 steam locomotive No 1446 in Iraq. Click for more. Tony’s Middle East Photos: 8F No.1425 and an Iraq O4 No.1403 in Baghdad in November 1966. See also the German-language discussions with lots of photos (including blue diesel locos) at Drehscheibe Online. Some photos of Baghdad central station taken by Pecosbif in April 2010. DEM2733 appears to be painted blue with white stripes, unlike most IRR locos which are green with yellow stripes, as seen on DEM2823. 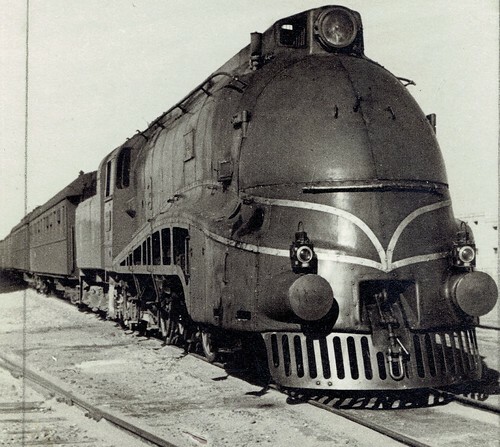 Иракские железные дороги is a Russian language webpage with some photos of railways in Baghdad, including Chinese and Turkish built diesel locomotives. 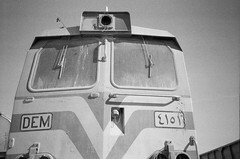 There are four photos from Iraq on Railpictures.net. These include two views of Chinese-built DEM2730 near Mosul in August 2006, and two aerial views of a yard in Baghdad taken from a UH-60 Blackhawk helicopter in June 2003.